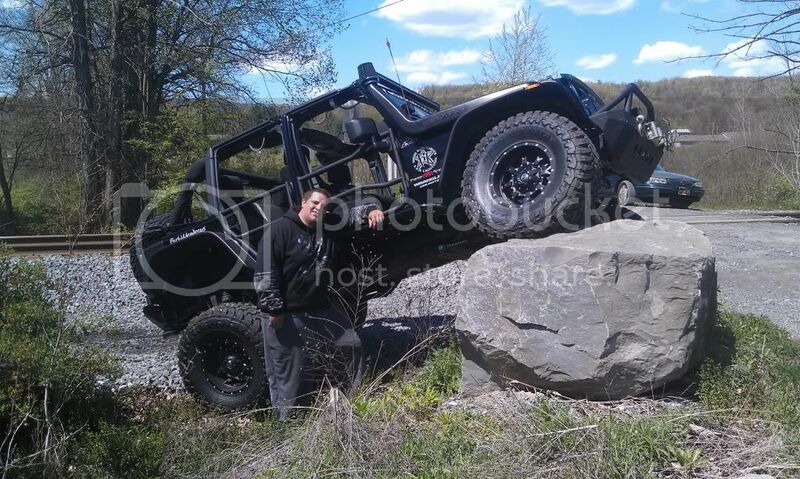 [SIZE=4]First off, let me welcome you to ForbiddenJeeps! We are glad to have you. You'll soon find that this forum is a great place with equally great people. Have a look around. Feel free to post questions, reviews, or just show off your rig over in the Show Your Jeep section. If you're having trouble navigating the site, take a look at our FAQ section. If you're still stuck, shoot a PM to one of the "staff" and they will do their best to help you out. Whether your rig is "fresh off the lot" or "trail ready" we have a group of vendors and manufacturers here that can help you out. Or, if your wallet isn't as deep as you would like it to be, check out the Backyard Builds to get some ideas on cheap modifications you can do to your rig at home. Finally, if you decide you like it here (I don't see why you wouldn't ) check out the ForbiddenStore to order some goodies for your rig and support ForbiddenJeeps! Last edited by KickMuch; 01-03-2012, 11:37 PM. [COLOR=#00ff00]Hey! Great info y'all I love the poll too, we can see how people are getting here! x2 what [COLOR=#00ffff]Kickmuch[/COLOR] and [COLOR=#ff0000]Forbidden One[/COLOR] said, we are all more than willing to help you out and answer questions! If you want to find folks to wheel with in your area, check out "The Outpost". Last edited by shamalamadingdong; 01-06-2012, 08:23 PM. looking at the future of getting another jeep in a cj shape. My name is Adam and I love anything to do with touring the outback. Great to have you here! Let us know if you need anything, everyone is very helpful. Enjoy! Hi, Im Pat. Just joined the other day, saw a post on Facebook from COP4X4. Asked to join and HERE I AM. I love my jeep as well as all you guys love yours. My friends and I wheel all the time. If we're not wrenching on them, we're rolling them. I posted pics of my rig, they are my adventures so far with her. Shes alittle sick right now (rear axle seal leaking). So no wheeling till shes better. Hope to get some of ya'll to come wheeling. I just want to wave a hand across here and say welcome to this amazing forum! [FONT=arial black][SIZE=4][COLOR=#00FF00][/COLOR][COLOR=#00FF00][/COLOR][COLOR=#FFFF00]I love your guys man!! If you ever have questions I havent been on much due to health problems and building the JK but if you ever have questions or need some backup call me in and NEVER hesitate to ask!!!! Hey yall! Names tim, im just startin on here, so i figure ill bring you up to date. 3 years ago I bought a 90 yj after searchin for the most bang for the buck(highschool budget) and now im workin on a mismatch of everything that im callin 'frankenjeep'. Which is goin to be my 4th or is it 5th jerp build sense i started, and it will be part of the 7 jeeps that my family has purchased sense i started!! There is somethin in the water i swear! Hahah i even got my buddies buyin jeeps! Well cant wait to rack your brains for ideas! I'm always willing to help if you have questions or just want to no who to contact about anything feel free to drop me a line and welcome!!!!!!! New here couple days ago, Found out about this site this past Sunday while driving by my local Fire Departments open house/kids day. Nice Jeep parked on lawn with windshield banner. Had to check it out so here I am! Have a 95 I've picked up last summer and been modifying it ever since! I had a jeep as my first vehicle back in the mid 80's, had it for a few years sold it and been without one ever since! Sooo glad to be back involved with Jeeps again!